My Pink Candy Giveaway, 2 Winners, & Bonus Days! I hope your weekend was wonderful! Mine was super fun! I had 2 family get togethers that included a wedding reception & 2 of my nephews giving talks in church. One just got home from a 2 year church mission to Japan and his younger brother was getting ready to leave for a 2 year church mission to Japan. Wow!!! Last week was a relaxing week for me. My kids started school so I decided to take a little time off work and get some much needed housework done that I had been neglecting over the Summer. Let’s just say that my laundry room has never been so organized! Let’s start with this week’s pink candy and then I’ll post the winners from the last two weeks…. My Pink Candy Winner of the Halloween Bag I made. 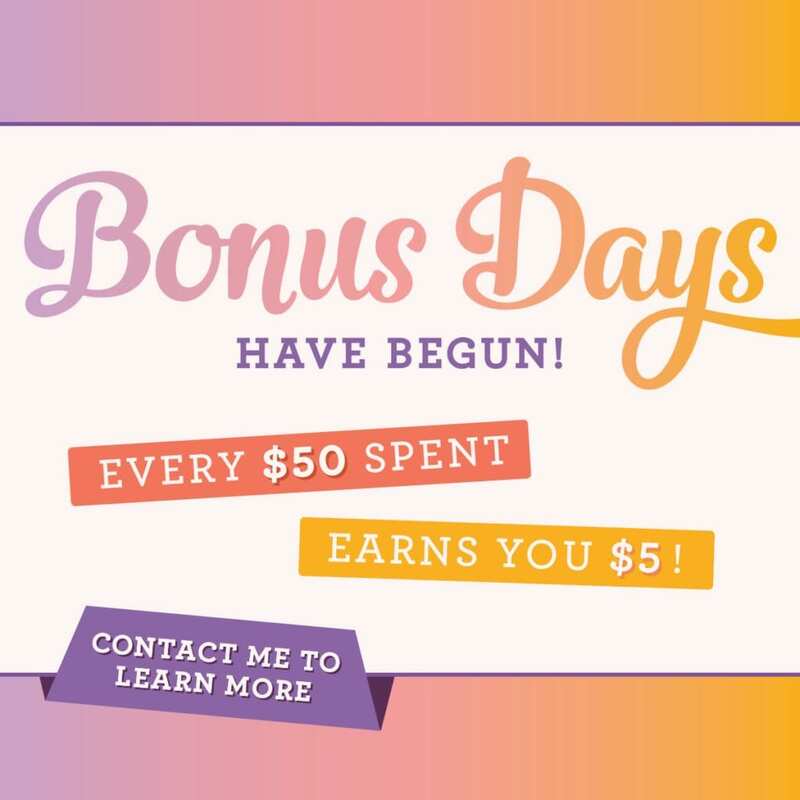 Did you all know that you can earn $5 for EVERY $50 you spend on my shopping page HERE in the month of August? Then you can spend the $5 coupons in September as you order from the new Holiday catalog! Yay!!!! « My Pink Candy Giveaway & Winner! I do not know why I do not have this cute set. Of course now that I have seen the cute card you made I really want it. Two years in Japan sounds like an amazing experience. Thanks for another give away. That bear is very cute. This is a cute card. I really like this stamp set. the colors you used. Thanks for all you do !! Just received the Holiday catalog yesterday. Thanks so much, Robyn. Visions of sugarplums (whatever those are) are dancing in my head. LOL. 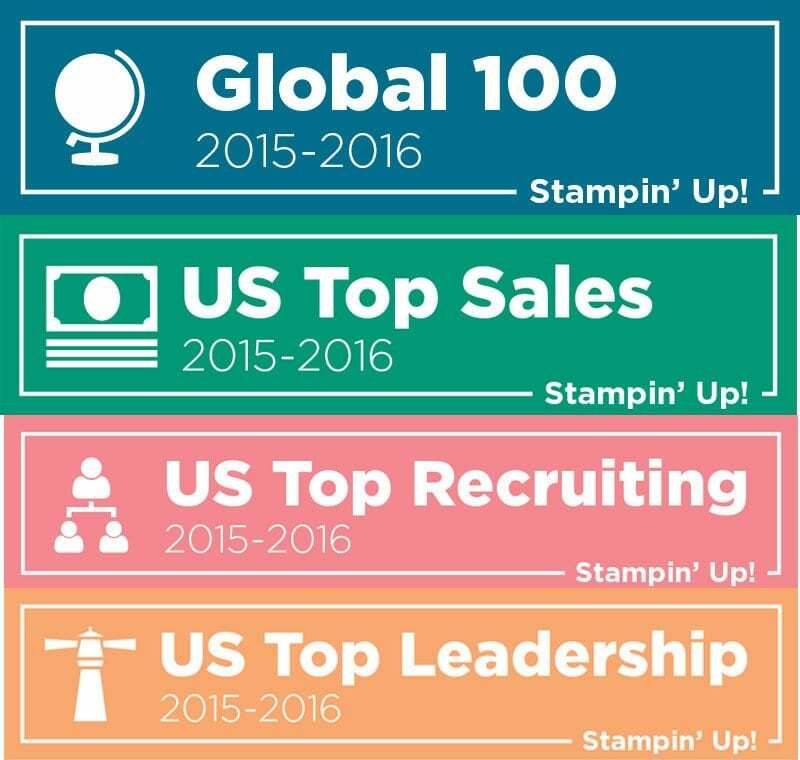 I love that stamp set. It’s so adorable! Thank you for the Holiday catalog. There are so many beautiful stamps it’s difficult to not wish for the whole thing. I love this set! The bear looks so real and stuffed! A VERY CUTE CARD. THANKS FOR THE CHANCE TO GET THIS STAMP SET. Love the set and the card! Awwww cute card!! Here in Hawaii was stressful with the upcoing hurricane Lane, but we dodged it Thank the good Lord!!! Hope I win this can make so many things for my great granddaughters! I love how real the bear looks with the multi stamping. That beat stamp is just so cute. Good for you to take time when you can! Just received the new catelog… new wish list!!! Love it!!! 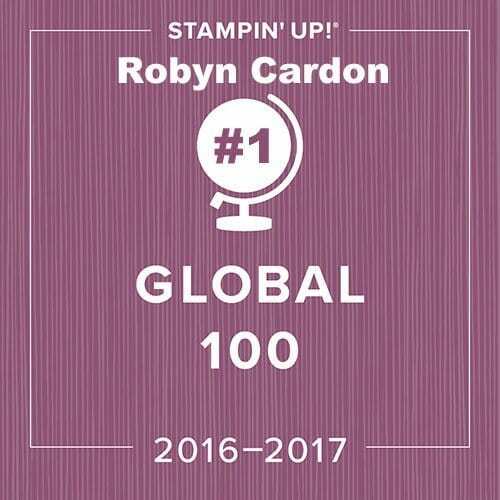 Thank you Robyn!!! PS thank you for always being such an inspiration. Such a cute set! Always have had my eye on it!! Super cute stamp set. Adorable card. 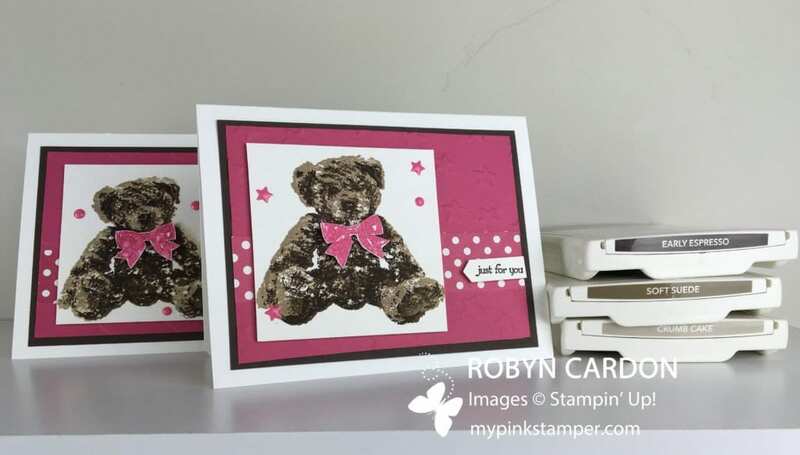 Love the teddy bear card, I remember you making so vividly. Such a super cute card! I really enjoy your blog. Thanks for keeping it going for all these years!!! Glad you got some time off! 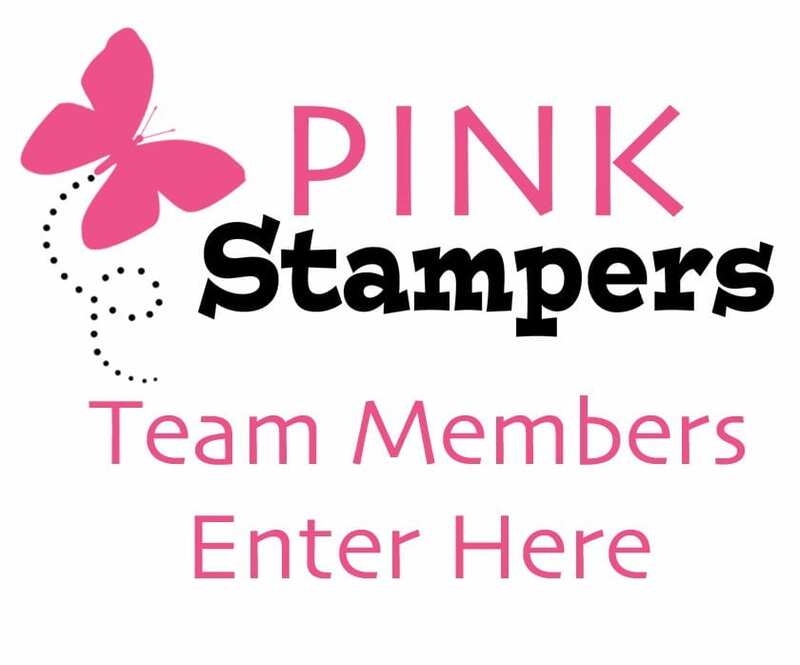 What a cute stamp set this is – thanks for the opportunity to win it! Polka dots and teddy bears! Awesome combo! This card would make a darling card for a new mother. Great to make ahead as it could be for either a boy or girl. That card makes it easy to actually see what the stamp set looks like. Nice card. Cute stamp set and card! Love the Teddy Bear set! 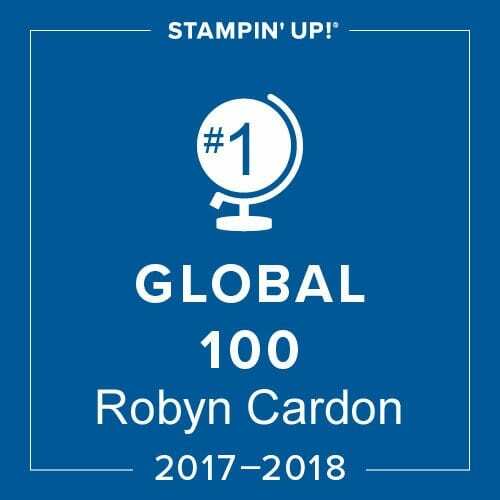 I love this stamp set! Adorable card!! She is ADIRABLE. What a sweet card. I am so glad that you took some time off…thanks for the giveaway! Have a wonderful week! How exciting about your two nephews! I had a friend who taught English in Japan for 2 years and loved it. I will pray for the good work they did/will do to bring a good message to all. This teddybear stamp set makes the teddybear look real. Love to win this! 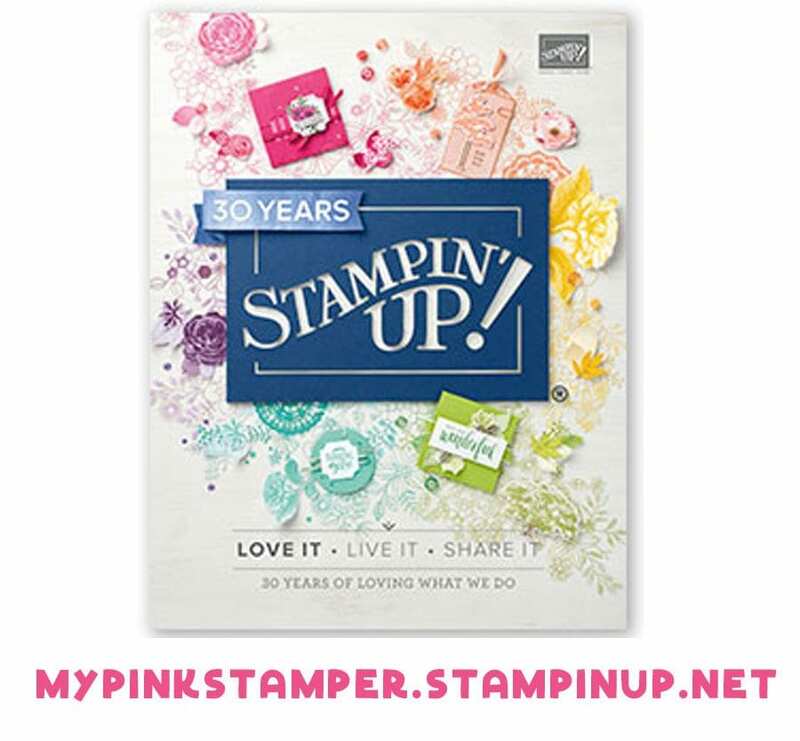 This stamp set would be perfect because I have a 3 month old granddaughter. Love that Teddy Bear set I have been thinking about it since it first came out and is on my list for purchase. Thanks for your generosity! Love that Teddy Bear set! I am so excited about winning the bag! Thank you so much for all that you do for us, Robyn <3 I hope you enjoyed your time off. Darling cards with the bears! Congrats to your winners! Such a cute bear! It looks so real. Thanks for the chance to win. With one niece newly married and another one getting married in December, could really put that stamp to good use. I have two younger nieces that going with nice guys but aren’t engaged yet. Thanks for the chance to win an awesome stamp set. As little as possibly for a few days so I can recover. i am soooo excited snd grateful. thank you so much for sll you do to inspire and challenge ys. Time off is always needed to come back refreshed and energized! Wow, how exciting for two brothers to be sent to the same mission! Very cute card. Thank you for the chance to win the stamp set. Congrats, ladies. Love the little teddy bear. Oh I love bears! Cute card. Cute card. Thank you for the chance to win the stamp set. I think that bear is adorable – love the dimensional look to it! Thanks for the chance to win! The teddy bear is adorable! The bear card is so adorable! thanks for the chance to win! I love that card! It’s so cute!